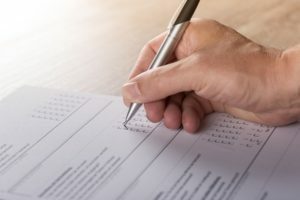 Surveys are often the first or only evaluation tool used by nonprofits, but poor survey design can produce untrustworthy or irrelevant results. The first step in creating a new survey, or reviewing an old one, is to take a step back and ask four big questions. These questions can prevent big problems down the line. Identify your need in clear language. This is the big picture purpose of your survey. Don’t lose sight of it! You don’t know why you are doing the survey. You have a hard time figuring out what to ask about on the survey. You feel like you have way too many things to ask about. Given your need, who should you ask for information? They are your audience. You have a hard time getting people to start or finish the survey. Other times, we ask questions that no one can answer! If you can’t answer the question, you may be asking a question to which no one knows the answer. Identify the actions you are going to take with the results. Check to make sure the questions in your survey will get the information you need to take those actions. You can’t identify who is going to use the results. You can’t say how the results from previous surveys have been used. Think about your purpose, audience, and usage. Is a survey the best way to get information that fits your need? What type of survey would work best? Would another method work better? Is there existing information that could help you without the need to ask people questions. Your questions are mostly open-ended. Your questions are multi-faceted or complex. Your audience would struggle with accessing, understanding, or completing a survey. Give you information towards your purpose. Be appropriate for your audience. Match how you are going to use the survey. Be appropriate for the survey method.